Adding to that ever growing list of places I always mean to stop by and check out, but for whatever reason never seem to, is Wolfies Pizzamia. That's why I was excited to go to a recent blogger preview event to sample the menu and learn more about Wolfies. Wolfies Pizzamia is owned by Michael Hennessey, the same person who owns White Wolf Cafe, hence the name. Michael Hennessey has been in the restaurant business for a long time, but he really got started in the business by way of opening an antiques store. In 1991 he purchased an old building in the quaint Ivanhoe neighborhood on Orange avenue and opened up the Orange Avenue Antique Mall. It was originally his idea to lease space to sellers of antiques and offer coffee, candy and ice cream to visitors. It did not take long before the antique store started to become more popular for its food than for the antiques found inside. As the demand for food kept growing, eventually the antique store was a thing of the past and the restaurant was in full force. Of course a name change was in order so Hennessey named his new venture after his white German shepherd, Casper, who reminded him of a white wolf. Nearly 22 years later White Wolf Cafe is still doing a pretty brisk business and has become a staple of the Ivanhoe and Downtown Orlando communities. In addition to an extravagant Sunday brunch, the menu is full of salads, sandwiches, steaks, and seafood served up in a unique space that was never designed to be a restaurant. In opening Wolfies Pizzamia, Michael Hennessey had a similar idea to open up a restaurant in an unused space that was not really intended to be a restaurant. 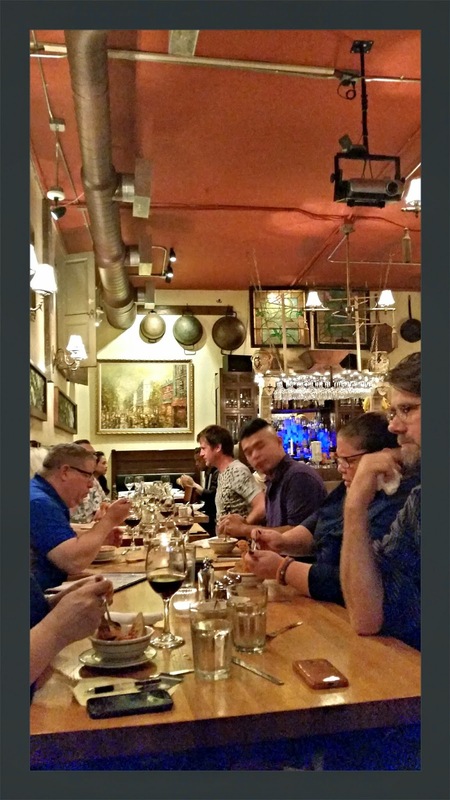 Just a few doors down from White Wolf Cafe, Wolfies has a very unique and rustic old world charm that is reminiscent of eateries in New York's west village. Almost everything on the menu including all of the breads, pasta, dough, salumi, and most of the cheeses are made in house and what other ingredients they do use are sourced locally and sustainably when available. Chef AJ Haines even cures all of his meats and cheeses in house, so don't ask for boring old pepperoni on your pizza. All sausages and charcuterie are aged and seasoned in a charcuterie drying cabinet that is on display in the dining room. 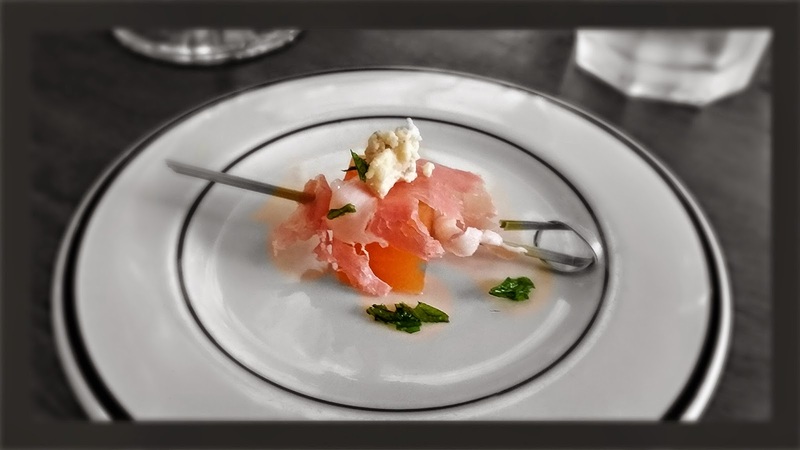 We started our tasting adventure with a skewer of Compressed Melon topped with Prosciutto, Fried Basil and Blue Cheese. A perfect savory and sweet treat to whet our appetites. Our next dish was a Mini Charcuterie Plate of Bresaola, Filleto, House Cured Provolone with a baguette and a side of pig butter. The flavor from the house cured meats and cheese was superb. Our first pizza was The College Park. 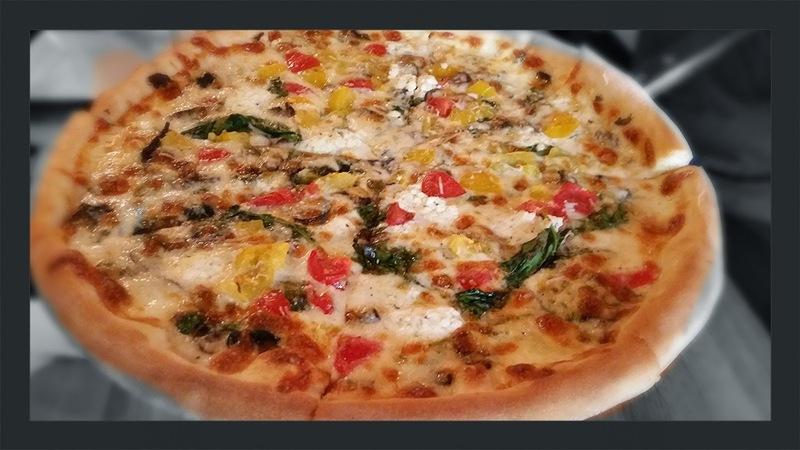 It is topped with Bechamel, Mozzarella, Ricotta, Spinach, Heirloom Tomatoes and Mushrooms. The second pizza we sampled was the Quatro Formagio, topped with Tomatoes, Mozzarella, Bleu Cheese, Brie, and Provolone. 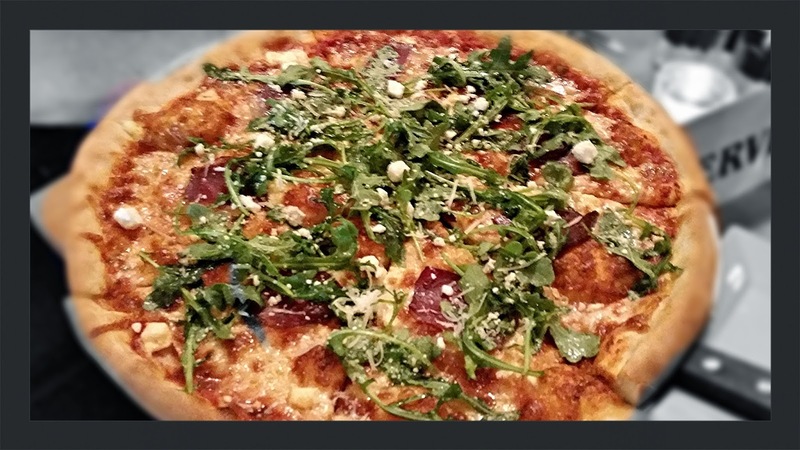 Our third pizza was the Burano that is topped with Mozzarella, Prosciutto, Arugula Salad and Goat Cheese. The dough on all three pizzas was perfectly cooked with just the right amount of thickness and crispness to support all of the toppings. Everyone really enjoyed them. As I said earlier, don't ask for your basic pizza toppers like pepperoni here at Wolfies. 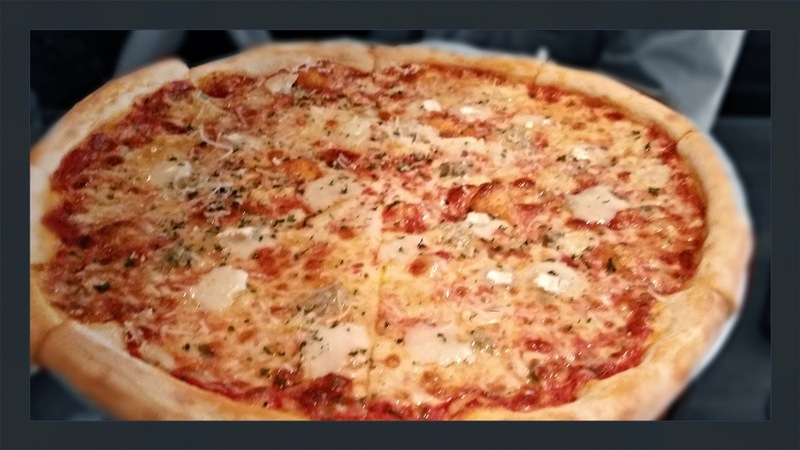 All toppings available are of a gourmet quality and most of the meat choices consist of Prosciutto, Sopressata, house made meatballs and house made sausage. 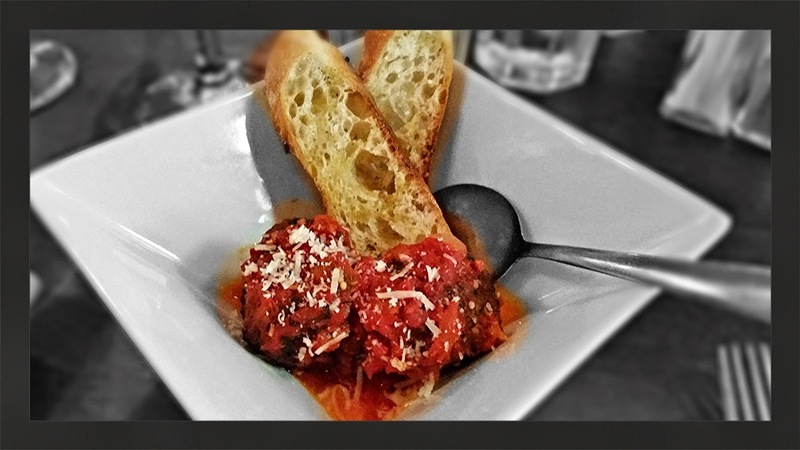 Speaking of house made meatballs, our next dish was the House Made Meatballs with a garlic Crostini. These were very robust and full of flavor. 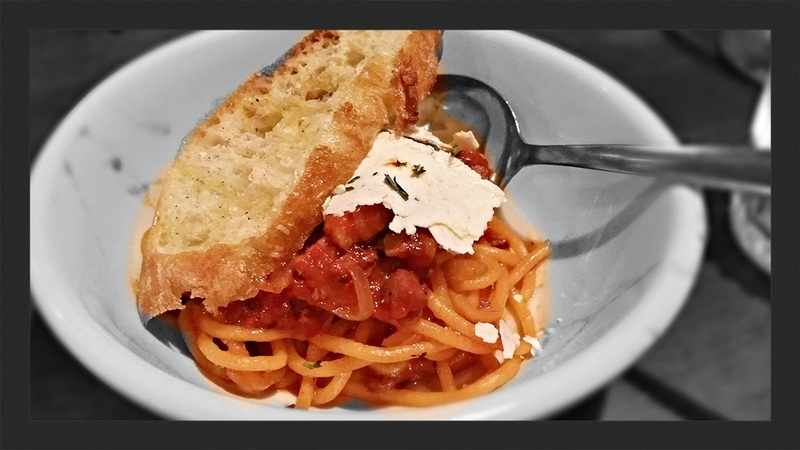 The Pasta Marinara was also a nice treat. The pasta is made in house and the accompanying sauce was delicious. One of the highlights of the evening was the Red Wine Braised Beef Brisket. 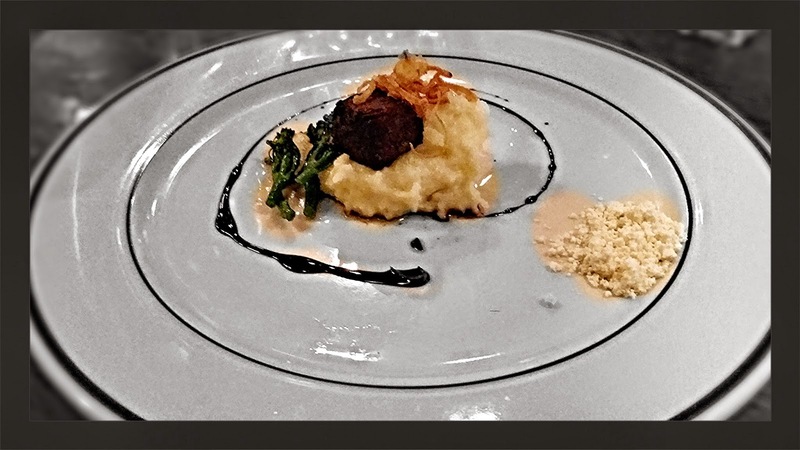 It was served with truffle mashed potatoes, Broccolini, Onion Strings and a Red Wine glaze. The meat tasted phenomenal and I have to say this is a must have dish at Wolfies. 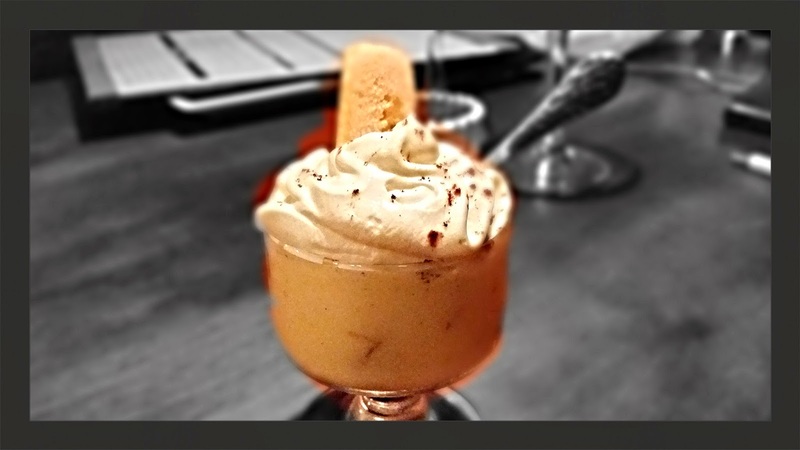 For dessert we had a Shot Glass Tiramisu with a Melletti Cioccolato Whip that was a Very light and flavorful ending to our evening. I have to admit that i was really impressed with just about everything at Wolfies Pizzamia. 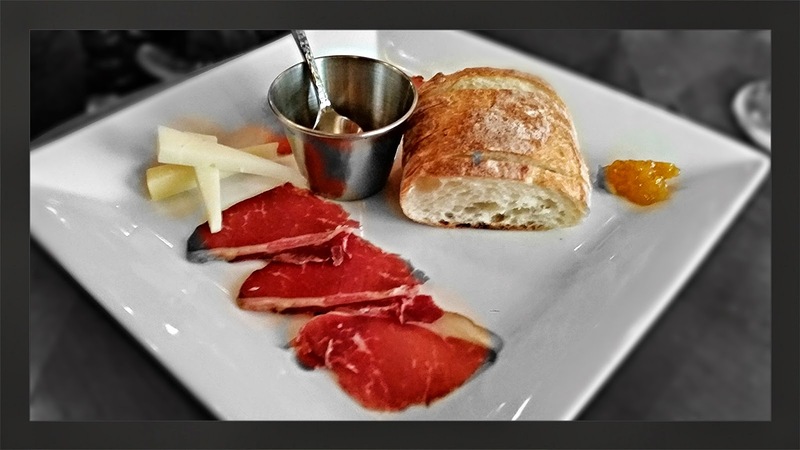 From the fresh breads and house made pastas to the house cured meats and cheeses, Wolfies is a top notch Central Florida eatery that you should not overlook. I personally can not wait to return, and I recommend you to check them out soon.